Air Canada flights to Toronto and Montreal were among seven planes allegedly targeted in a massive bomb plot that was being planned in Britain, a court in west London heard Thursday. Air Canada flights to Toronto and Montreal were among the seven planes allegedly targeted in a massive bomb plot that was being planned in Britain, a court in west London heard Thursday. All seven trans-Atlantic flights were scheduled to take off within hours of each other from London's Heathrow airport at the height of the summer vacation season in 2006, the prosecution told the Woolwich Crown Court. A specific date for the alleged attacks had not been picked. However, the accused were reportedly targeting the 3 p.m. Air Canada Flight 849 that leaves Heathrow daily for Toronto and the regular Air Canada Flight 865 that leaves at 3:15 p.m. for Montreal. The other five planes, run by United Airlines and American Airlines, fly regularly to Washington, Chicago, New York and San Francisco, the court heard. 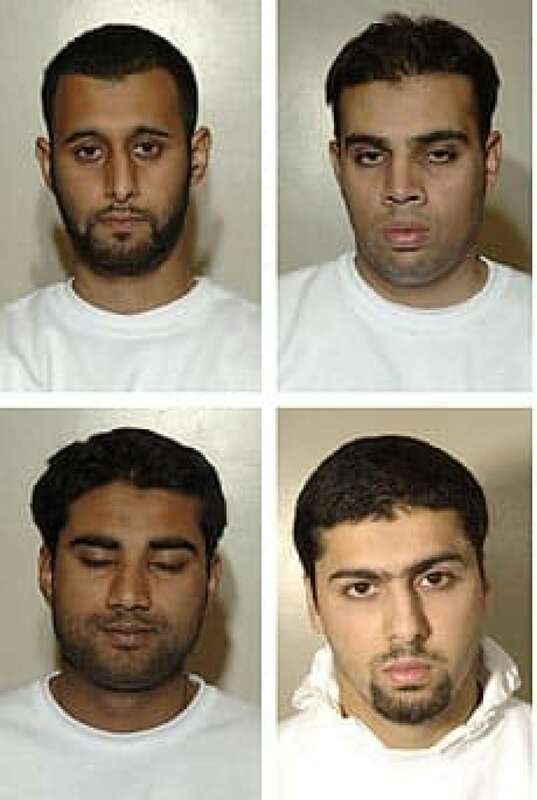 The Crown alleges eight British men planned to carry small bombs — made with liquid hydrogen-peroxide-based explosives — in plastic drink containers on board the planes. All were to be detonated simultaneously as the planes crossed the Atlantic Ocean carrying between 240 and 285 people each. The group hoped to recruit as many as 18 suicide bombers and did not confine their ambitions to blowing up just seven airplanes, prosecutor Peter Wright alleged. "The plan was designed to bring about what would have been a civilian death toll on an almost unprecedented scale," Wright said. The suspects, all in their 20s, were arrested on Aug. 10, 2006, in a two-day police sweep that led to the cancellations of hundreds of flights in and out of Britain. 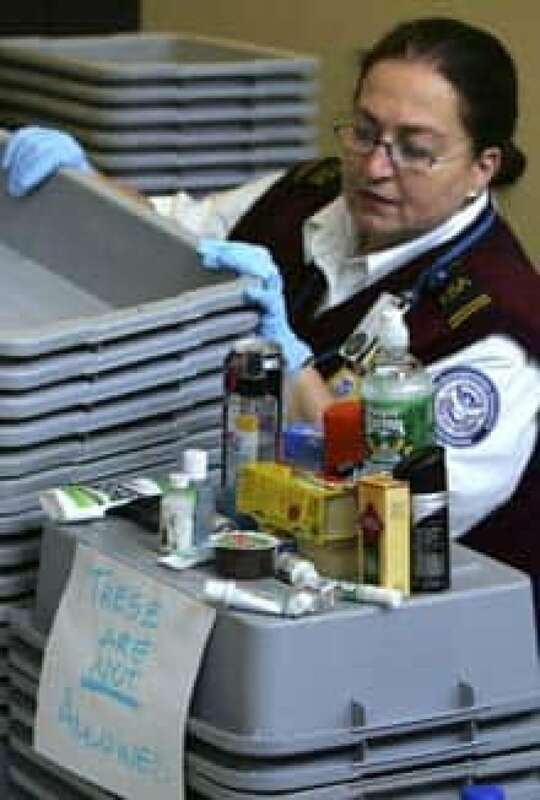 The incident changed the way passengers around the world fly, as airlines placed restrictions on carrying liquids, gels and aerosols aboard planes. The alleged ringleader of the group, 27-year-old Ahmed Abdullah Ali, had a USB flash drive in his pocket that had flight details and Heathrow security information on it when he was arrested, the prosecution said. He had a to-do list calling for him to buy batteries, a disguise and three kinds of drinks: red-coloured Oasis juice, the sugary drink Tang and the sports drink Lucozade. Wright told jurors the suspects hoped to smuggle explosives on board, disguising them to look like soft drinks or mouthwash. "They were prepared to board an aircraft with the necessary ingredients and equipment to construct and detonate a device that would bring about not only the loss of their own lives but also all of those who happened by chance to be taking the same journey," Wright said. Ali was arrested along with Assad Sarwar, Tanvir Hussain, Umar Islam, Arafat Waheed Khan, Ibrahim Savant, Waheed Zaman and Mohammed Gulzar. All eight are charged with conspiracy to murder and with planning acts of violence likely to endanger the safety of an aircraft. Both offences carry maximum sentences of life imprisonment. John O'Connor, a former commander with Scotland Yard's anti-terrorism unit, told CBC News Thursday that it's not surprising that Canadian flights were among the targets. "It might seem difficult for Canadians to understand, but when you're looking at Canada and America, one tends to on this side of the Atlantic combine them as one, and I'm sure that's what the terrorists do," he said from London. "They see them as very close cousins, and they wouldn't discriminate them against one or the other…. As far as the insurgents are concerned, any Western country which is an ally of the United States is going to be seen as a legitimate target." 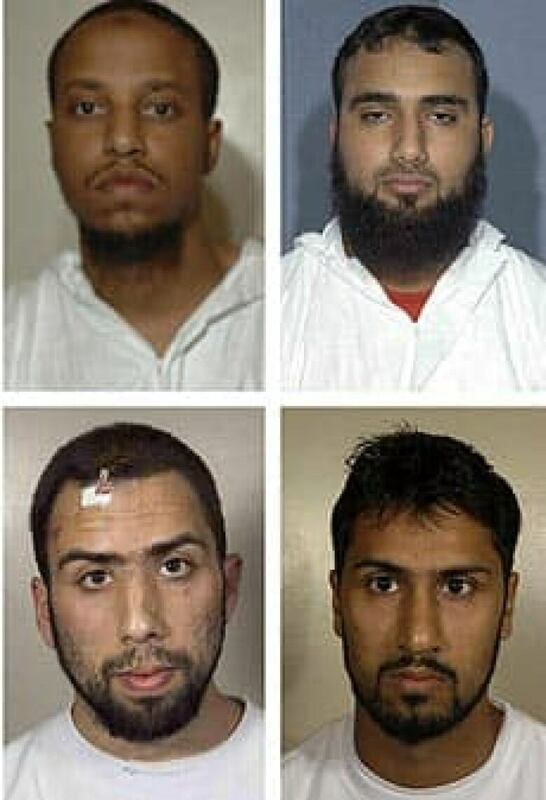 The British bomb plot trial is expected to last six months, with Judge David Calvert-Smith warning 100 prospective jurors during a selection hearing on Wednesday that proceedings would be long and complex.